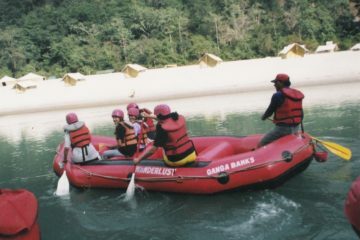 Ganga Banks Camp is located on the Ganga river. We have 30 Swiss tents & 20 alpine tents. 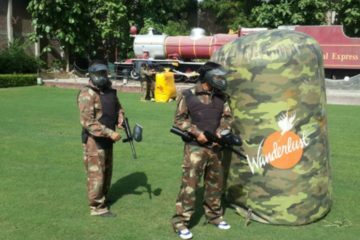 The camp also includes activities like Paintball, archery, volley ball, tug of war, badminton, darts etc. 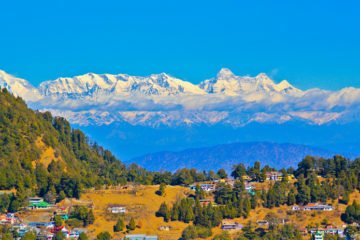 Waterbanks is spread over 15 acres of lush green landcaps sight on Damdama Lake.